If you are tasked with organising some sort of event, whether it be a special family occasion, an important business meeting or an informal gathering, arranging the food should feature relatively highly on your list of priorities since no event is complete without quality food and drink. There's a clear decision to be made; you either take care of the catering yourself of you use one of the professional catering services that operates in your area. This is something that should be carefully considered as it can have a huge impact upon the success of your event, but more often than not it's something people come to a snap decision about. There are times when professional catering services are clearly the correct option, but that's not to say that it's impossible to do the catering for your event yourself. If you're still not sure which option is the most appropriate for your situation, we've put together a brief comparison for you below. Should You Use Professional Catering Services for Your Event? As a fully licensed catering company that has been tending to clients' needs in Toronto, Mississauga and the rest of the GTA for almost three decades, the "professional caterer or DIY" debate is something that has cropped up on a number of occasions. While we believe we genuinely add immense value to any event, we do recognise that professional catering services aren't always required. Time Commitment - Doing the catering for an event on your own or even with the help of your friends can be a very time intensive task depending on the size of the event and the amount of time you have to get it done. If you do have a sizeable amount of free time in the lead up to the event, then it's maybe possible to take care of the catering yourself. However, you have to remember that most likely you will be squeezing this prep work in between other tasks and consequently the overall quality of the food may suffer. Professional catering services have a big advantage with regards to the fact that this is all they do, and hiring one of these companies will help to free up your own time to concentrate on other elements of the event planning. Knowledge & Experience - It goes without saying that the staff at catering companies should have been (although it's always advisable to check when you make enquiries) properly trained and most likely have several years of experience and dozens of catering jobs under their belts already. This all means that they know what they're doing. They know what works and what doesn't and they can most likely offer significant input into the menu preparation (a task that DIYers typically waste weeks on! ), in addition to taking care of all of the actual food preparation. If you don't have any real catering experience to draw on, catering services are probably the best option if you want to entertain your guests with five star quality food. Tools & Equipment - Some of the tools and equipment that are used during the catering process are very expensive to purchase and it's unlikely that the average homeowner will own them. This means should you go the DIY route, you'll either have to pay out to purchase or hire this equipment, or you will have to make do with what you have, which may potentially affect the quality of your catering. Professional catering services will already have this equipment available. Event Size - Another factor you have to consider when making this decision is the size of your event. If you need to cater for one hundred people, it will be extremely difficult to handle this task on your own due to the sheer amount of work that is required. Catering services on the other hand will have several members of staff they can call on to get more done faster. Health & Hygiene - While you undoubtedly maintain a high level of hygiene and cleanliness, it can be difficult to keep your kitchen in order when catering for a large group of people. With a million things to do, your standards could slip, which could affect how well your catering is received. Staff that work for catering companies have all passed official health and hygiene training programs, meaning you don't have to worry about what you might find in the food. Cost - Many people automatically dismiss catering services as they believe that the prices they charge are "extortionate," but this rarely proves to be the case. In fact, if you have very little catering experience and attempt to do all of the work yourself, you will likely waste a lot of the raw materials and won't have the necessary knowledge to get the most out of what you have. Most catering services are able to work with the budget you give them and produce a high quality end result for a price you can afford. Don't dismiss professional catering services on price alone before you investigate the matter further. 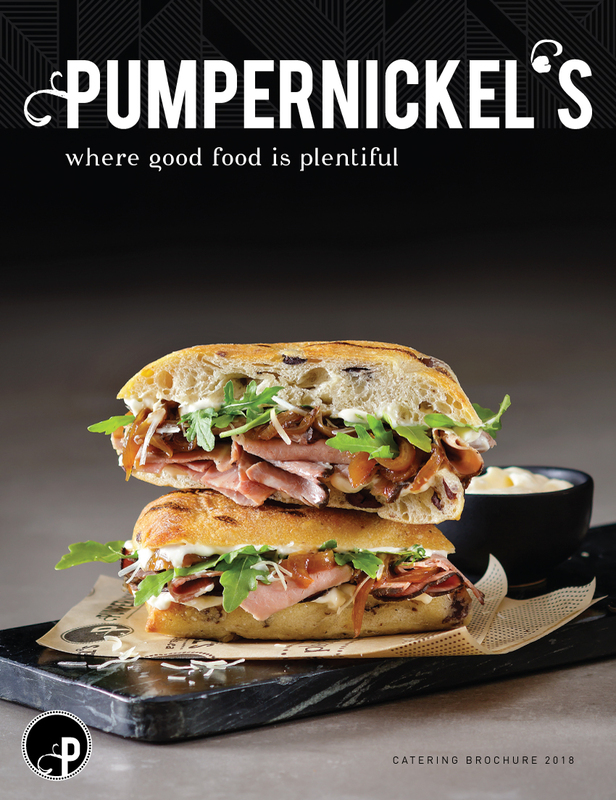 If you live in Toronto, Mississauga or another part of the GTA and feel like using a professional catering service would be the best option in your case, don't hesitate to get in touch with Pumpernickel's to discuss your requirements and ask us any questions that you have.